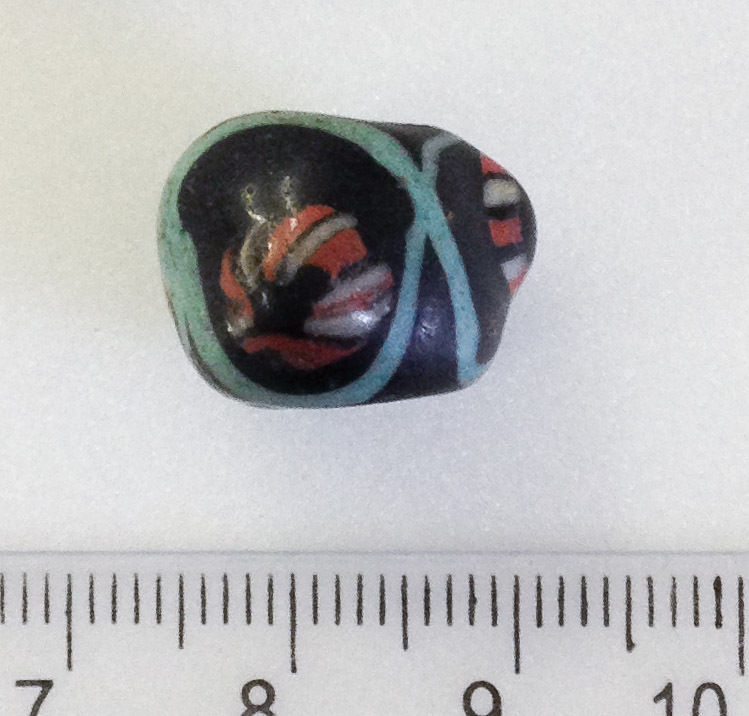 You may remember that back in October, I started to write a series of posts about documenting the designs of polychrome beads. I started to describe my system, and then promptly fell into one of the busiest three months of my life, so I stopped posting. A lot happened in those three months, one of which was that I changed my system for documenting bead designs. The old system worked, but only to a degree, and when we got into things like the lines on a bead and the designs or orientations they could have, there were easily over a hundred different options. It got too confusing keeping track of all of them, and then there were issues with colour and all sorts of things. Yes, I’ve changed my methods. Research is an ever-evolving process, and what may seem to work for one dataset actually doesn’t work for another. What may seem to work initially might be alright, but it’s actually cumbersome and clunky when you try to use it on a larger scale. Refining techniques is simply a part of the research process. So I’m going to start back from the beginning with bead design, describing the new set of methods. You’ll notice they aren’t so different from the old set of methods – everything is still there, just shifted to make it easier to talk about. Right, bead design. 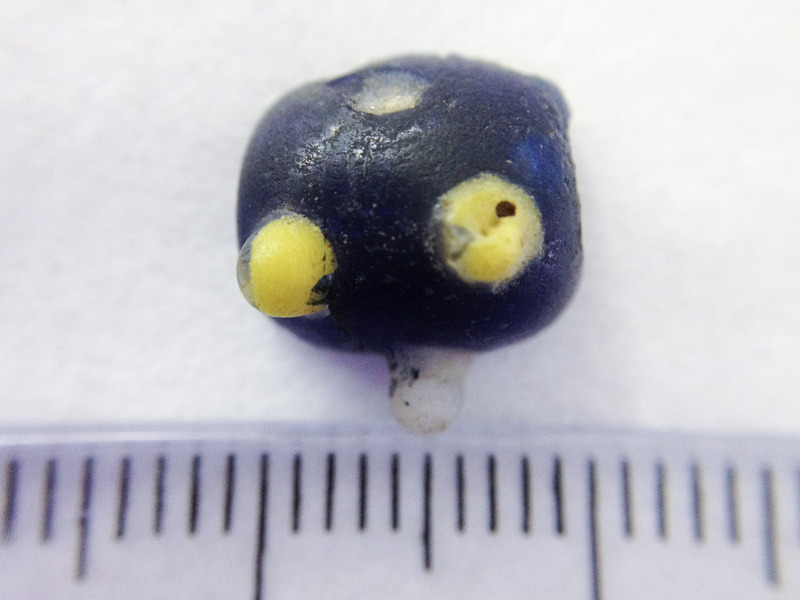 In my new system, I still start by recording how many colours are present on the bead. While I’ve already recorded each of these colours, it’s just a lot easier to have a single column with a count of how many colours a bead has – it makes filtering for polychrome or monochrome beads so much easier. And then, as I mentioned in my older posts, I talk about shape. 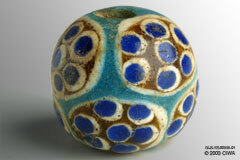 Shape is any non-linear design on a bead, such as dots, squares, flowers, fish, birds, eyes, etc. This doesn’t include lines or spirals, even if the line wraps around the bead and connects back on itself. 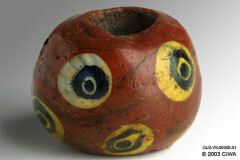 Dots: Very much what you think it is – a dot (or multiple dots) on the bead. Simple. Circle: This is the general outline of a circle (like someone took a pencil and drew a circle), since a dot is effectively a circle that’s been coloured in. Framed dot: A dot with a circle around it (e.g. the photo on the right). Rayed dot: A dot that is surrounded by a circle, but the circle is polychrome and looks like lines coming out of the dot (e.g. the photo to the left). Compound circles: A big circle that has lots of little circles or dots crammed inside it (photo to the right). Concentric circles: Multiple circles inside one another (photo to the left). Rectangle: A rectangle, filled in, much like the dots. Can be square. Rectangle (outline): Outline of a rectangle or square, much like circles. Framed rectangle: A rectangle surrounded by the outline of a rectangle. Rayed rectangle: Exactly the same as a rayed dot, just with a rectangle. Compound rectangles: Same as compound circles, just with rectangles. Concentric rectangles: Again, same as the concentric circles, just rectangular. Cross: Either an equal armed or Christian style cross. Flower: Anything that looks to you like a flower. Bird: Anything that looks like a bird. Star: Any star, regardless of the number of points. Fish: Any design of a fish. Face: Anything that looks clearly like a human face (i.e. eyes, nose, mouth, possibly hair). Note: If your bead is in the shape of a cross, bird, fish, face, flower, or what have you, that is not the design shape! Design shape refers to shapes made by various colours of glass on a bead. If your bead is in the shape of a cross, bird, etc., then that is the shape of your bead, which is actually a different category altogether. 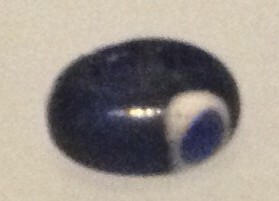 Remember, we’re still looking at the colours on the bead and what they’re doing, not the shape of the bead as a whole. That’s it for now – I’ll get into what to do when you have multiple shapes or multiple colours in the same shape, and also linear designs in later posts. 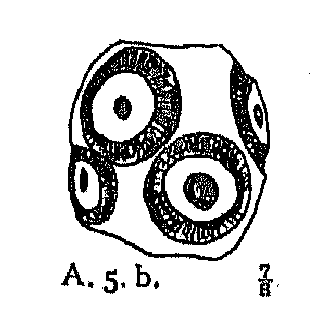 Bird bead: Lankton, J., L. Dussubieux, and T. Rehren. 2009. “A Study of Mid-first Millennium CE Southeast Asian Specialized Glass Beadmaking Traditions.” Interpreting Southeast Asia’s Past, Monument, Image, and Text: 335-356, eds. EA Bacus, IC Glover, and PD Sharrock. Singapore: National University of Singapore Press. Face Bead: Liu, Robert K. 2003. 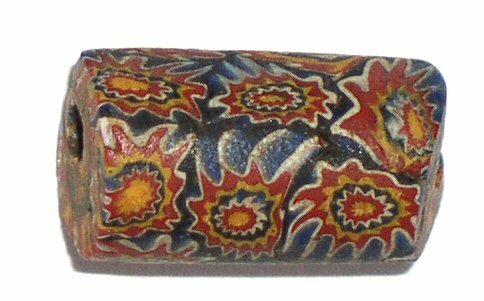 “Horace C. Beck and His Influence on Non-Academic Bead Research and Collecting.” Ornaments from the Past, Bead Studies After Beck: a Book on Glass and Semiprecious Stone Beads in History and Archaeology for Archaeologists, Jewellery Historians and Collections. This entry was posted in Bead Basics, Methodologies and tagged archaeology, artefact, bead, design, methodology, terminology. Bookmark the permalink.